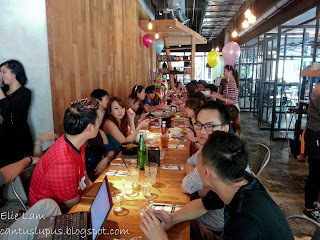 Last Friday marked the end of my in-company attachment with Nuffnang and these people were sweet enough to organize a farewell lunch for all the interns and members of staffs who were leaving the company. 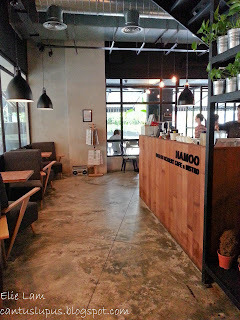 The place of their choice was Namoo On The Park at Publika. 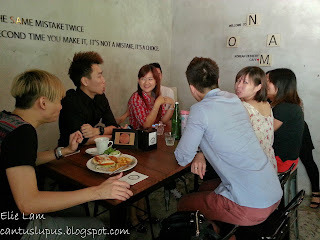 Truth be told, I've never heard of this place until about a week ago when I stalked Aki's blog and she mentioned that she celebrated her birthday there. Namoo's simple menu with the adorable mascot looking out for us! 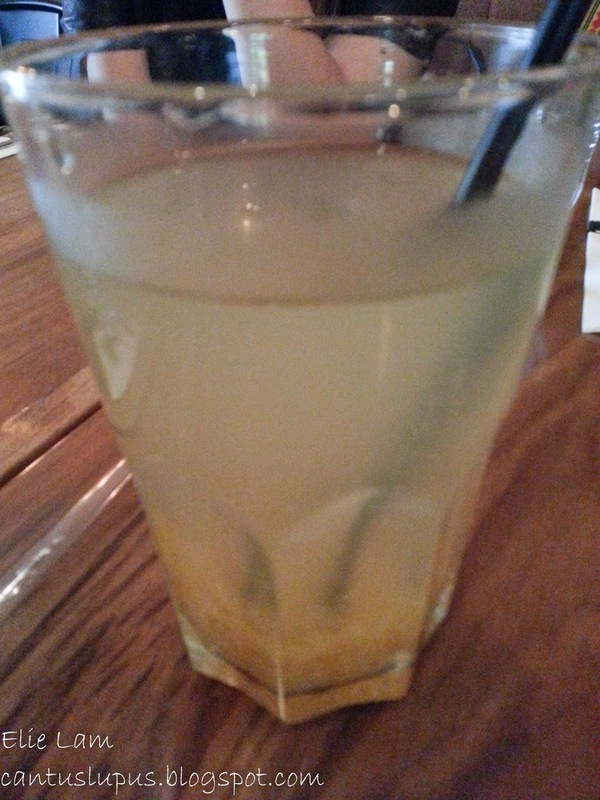 The Yuza tea with "less ice" which came out with literally no ice at all. The Yuza or citron tea was in fact very appetizing and I had to stop myself from sipping it otherwise I'd finish up everything before food was even served! It was recommended by the waitress (or owner?) who had served us and I'm guessing that I made the right choice! It wasn't overly sweet while the balanced tangy taste to it was all very nicely fused. Yum! Priced at RM 8.90 for cold and RM 7.90 for hot. 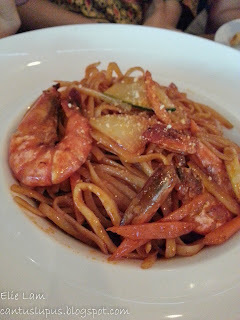 What I ordered. What's wrong, BiBi Rice Burger?! According to several blog reviews here, here and here, Namoo's specialty was the rice burgers that they served with mayonnaise, chilli sauce, vegetables, eggs, cheese and meat of your choice that came in either chicken, beef or shrimps all sandwiched in between two pieces of what they called the rice bun. 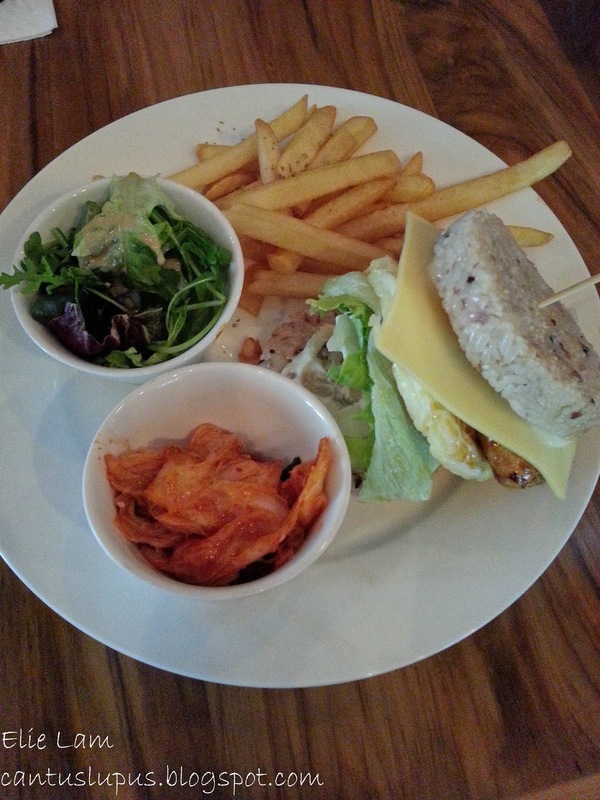 I picked out the BiBi or chicken rice burger priced at RM 19.90 and it came out toppled...like the picture above! And then I fixed it. Okay so I lied, I didn't bother to fix my burger. This was Rina's order and I just took the picture because...my burger looked so sad as compared. My order was without the chilli sauce and my thought was that it wasn't exactly the best of the best foods that I've had. 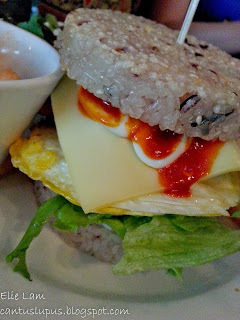 Sure, it was special to have tried out a burger "bun" made out of rice but it became overly dry and stiff after a while when I tried to eat it up and it was extremely filling in the end; simply because it was made of rice. Something good to just try out on but it isn't exactly the must have kind of food. Lilian's order of seafood pasta. 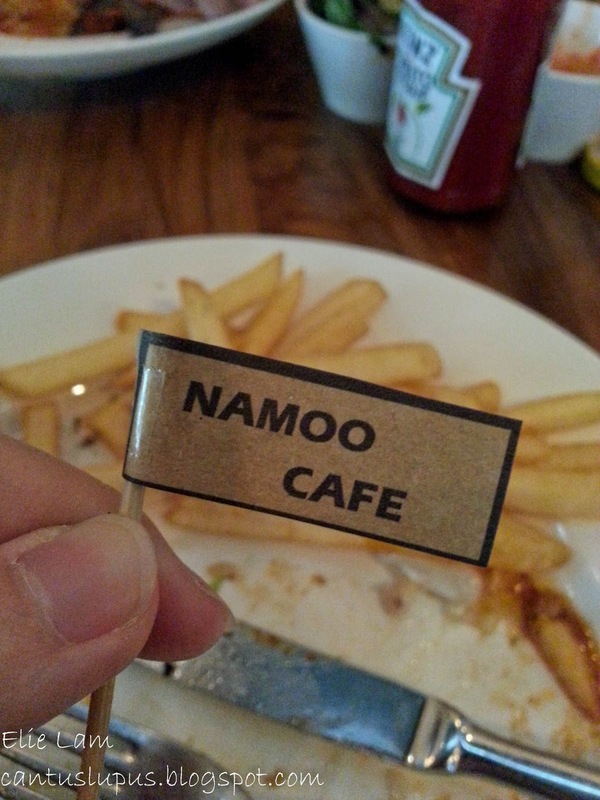 I didn't get to try it...because I'm too shy to ask for a spoonful! 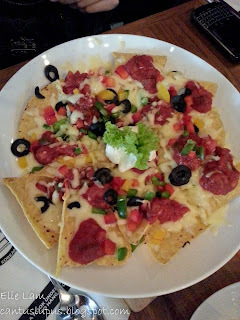 Angie's nachos with cheese. It looks really good but after my rice burger, I was just too stuffed to answer to Angie's offering to have one. 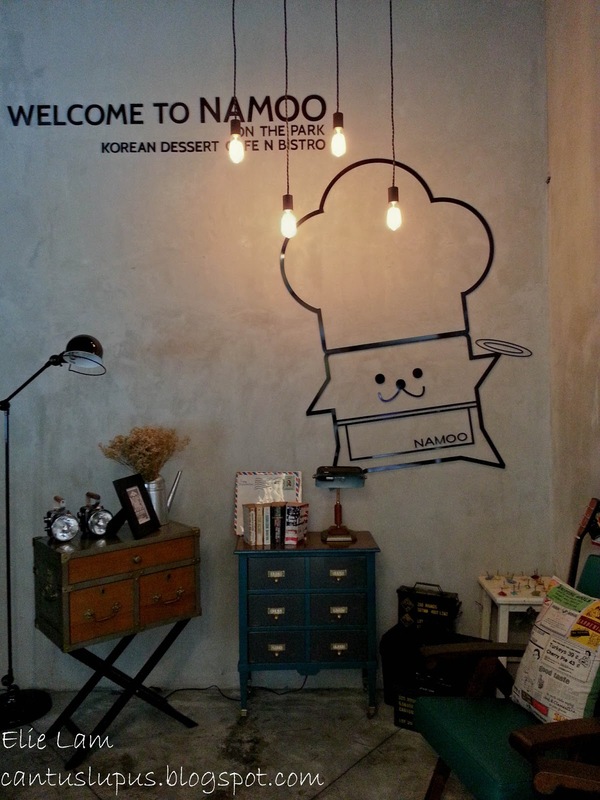 One thing I must say is that Namoo has a great way in arranging for big crowds. As long as you have made an appointment, it didn't matter if your party was incomplete. You could walk in knowing who made the booking and sit down to order first so that the food gradually comes as your friends do too! So for example if you got there early while your friend eg. 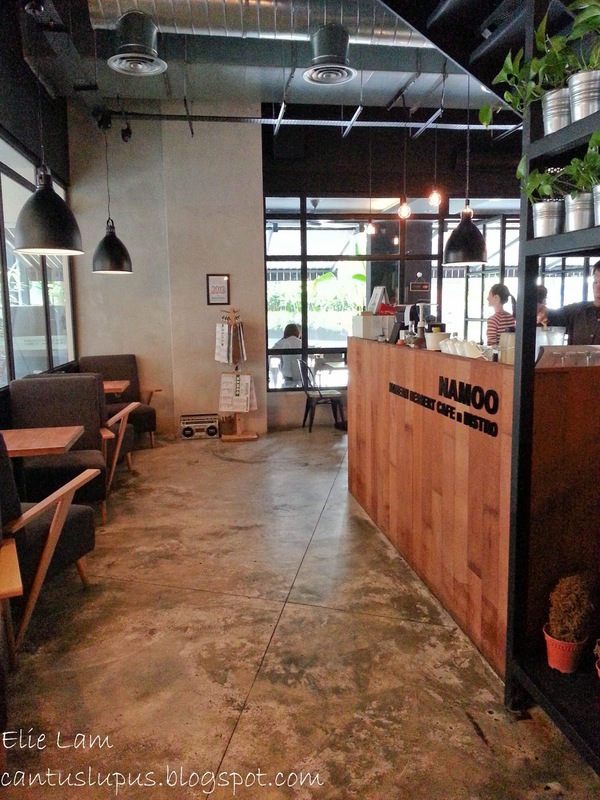 A came late, you could still have a seat and get ordering first! It was a great system because otherwise their kitchen staff would probably come out to the floor and kill us all! 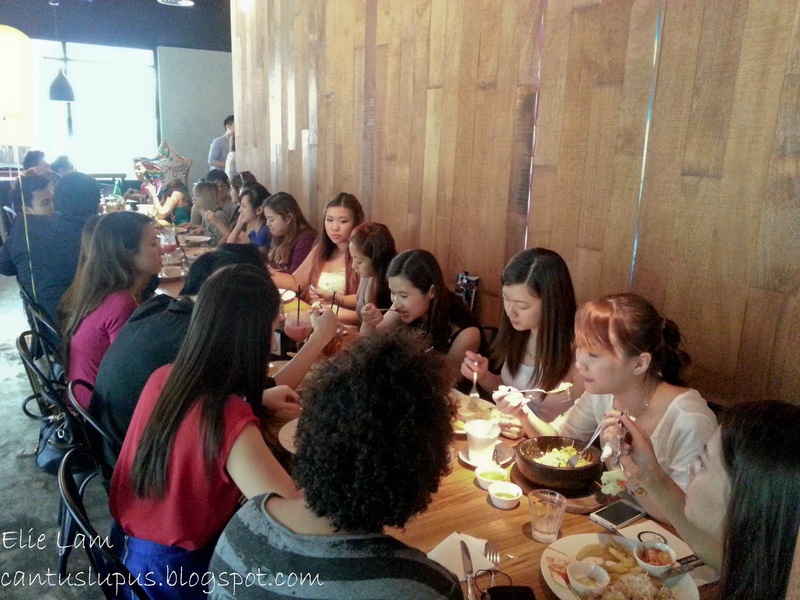 Nuffies indulging in Namoo specialties! An exiled table for the late comers! 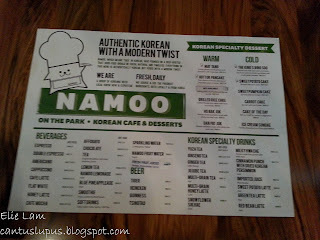 There were 40+ of us in total including the "exiled" table and Namoo did a great job caring for us all! We even had the sweet potato cake (which I unfortunately don't have a picture of!) for Charissa's belated birthday and it was something really special to eat. It's pretty sticky and VERY filling though so maybe it's a better idea to share than to hog everything to yourself. Open daily, last orders around 9:30 p.m.